The author’s first novel “The Duel” introduces the reader to the possibility of past lives and other psychic phenomena. His second “The Beach House” examines how we may be affected by psychic dreams, U.F.O. abductions, negative energy, and possessions. “The Dreamers” follows the characters through psychic exercises which help them understand their unique gifts and talents. THE DUEL - $15.00 - Published by Infinity Publications, 2016. Metaphysical fiction. Jim's recurring nightmares always have the same theme. He is fighting another man in different historical settings. When he accidentally comes face to face with his old nemesis, the struggle begins again. Will he find clues from his past in time to help change the future? ISBN 978-1-4958-1289-7 Paperback, 303 pages, lists for $18.95. ​THE BEACH HOUSE - $15.00 - Published by Infinity Publications, 2016. 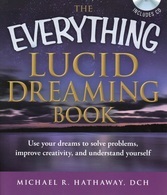 Second book in a metaphysical series, it examines how we may be affected by psychic dreams, U.F.O. abductions, negative energy, and possessions. The setting is Cape Cod, Mass. in an estate being run as a resort hotel that is actually fronted by a secret national security agency. ISBN 978-1-4958-1291-0 Paperback, 265 pages, lists for $16.95. ​THE DREAMERS - $15.00 - Published by Infinity Publications, 2016. Third book in a metaphysical series that follows the characters through psychic exercises which help them understand their unique gifts and talents. A doctor moves to Cape Cod, haunted by a recurring dream.. ISBN 978-1-4958-1293-4 Paperback, 305 pages, lists for $18.95. ​HOW TO BE A PSYCHIC. A Practical Guide - $13.00 - Published by Adams Media, 2017. Take control of your future…You'll start by learning how to tune in to the psychic ability you already have - but never knew how to access. 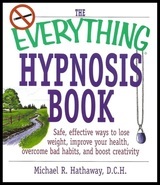 Contains material adapted from "The Everything Psychic Book, 2nd Edition" by Michael R. Hathaway. ISBN 10:1-5072-0061-7 Paperback, 256 pages, lists for $14.99. MYSTERY IN THE DREAMHOUSE--$15.00—Published by Infinity, 2013. A story which used hypnosis to investigate a recurring dream. The tale soon turns into a paranormal adventure spanning two hundred years, encountering ghosts, time shifts, and a visit to the Akashic Records. ISBN 0-7414-9928-2 Paperback, 422 pages, lists for $16.95. 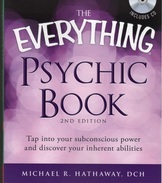 ​THE ONLY PSYCHIC POWER BOOK YOU'LL EVER NEED--$7.95—Published by Adams Media, 2008. Contains material adopted and abridged from “The Everything Psychic Book”. Paperback, 184 pages. Adams Media, 2008. ISBN 978-1598695519. ​Media mail will be calculated at checkout. Generally a book weighs between 1-2 pounds & costs $3.50 to ship.